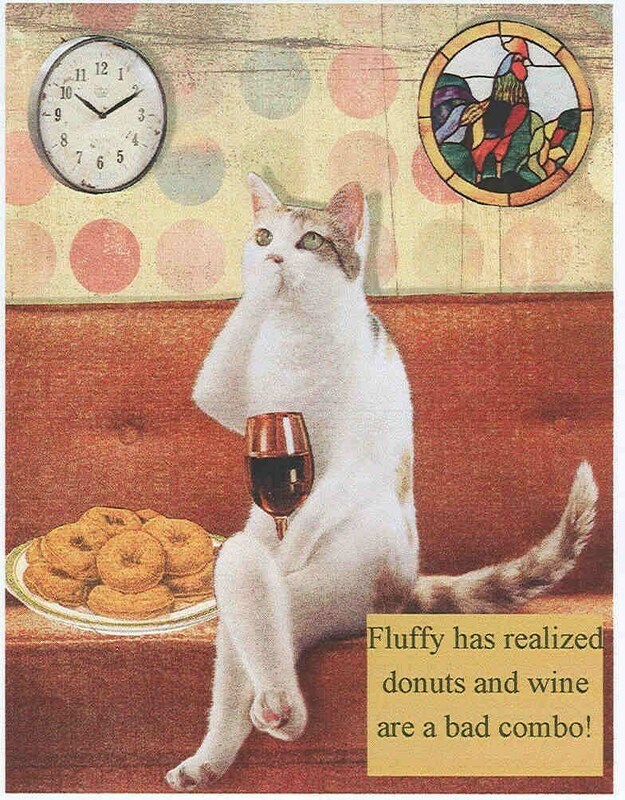 "Fluffy realized donuts and wine are a bad combo!" This is a print of one of my whimsical collages. Each card measures approx 4x5" and comes with a white envelope in a protective cello sleeve. It's left blank for your own personal message. Adorable card. Shipped quickly and well protected! A wonderful seller! nSo beautiful and careful package! nThank you vey much! Who hasn't been there, Fluffy? Love this card! Thanks.